NVE Corporation has introduced a new smart magnetometer that combines a tunneling magnetoresistance (TMR) sensor element with sophisticated digital processing. When it announced the product launch in August, the company said it was the first smart TMR magnetometer on the market. Meanwhile, NVE has also been adding more models to its new line of TMR low-power isolators. The SM324-10E Smart Magnetometer is designed as a versatile sensor ideal for measuring current or proximetry. Unlike a traditional Hall-effect sensor, it is sensitive in-plane for optimal current sensing and provides easy mechanical interfaces, the company said. It can detect magnets more than 50 mm away. 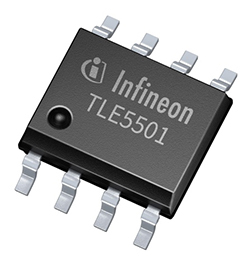 In late November, the company announced two new models in its IL01x-Series of TMR low-power isolators that broaden coverage to all the popular channel configurations, the company said. With typical total quiescent current of just 0.3milliamps per channel, the new parts use one-fourth the power of NVEs flagship isolators. They utilize a ceramic/polymer composite barrier for enhanced isolation, barrier resistance and barrier life. The series was introduced in June 2018 and now has five models. Applications include loop-power controls, battery powered instruments and serial peripheral interface. Based in Eden Prairie, MN, NVE is a leader in the practical commercialization of spintronics, a nanotechnology that relies on electron spin rather than electron charge to acquire, store and transmit information. 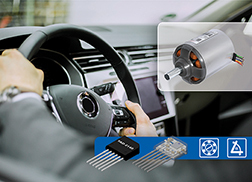 The company manufactures spintronic products including sensors and couplers that are used to acquire and transmit data. NVE has also licensed its spintronic magnetoresistive random access memory technology, commonly known as MRAM.